Yes, she actually said it! And the fans did come, at first, because everybody wants to check out the new team and the new riverfront stadium and get some new gear with a cool logo of a shark with a bat in its teeth. Then the novelty wore off, and they stopped coming so much: According to Deadspin, attendance the Riversharks’ final season in 2015 was less than half of capacity, and even that was goosed with lots of free tickets handed out. Then the team folded and moved to New Britain, Connecticut. Things didn’t go much better for the Newark Bears or the Atlantic City Surf, neither of which managed to reach voting age, either. (I have previously written about my attendance at the Bears’ last gasp, a tragicomic liquidation sale that largely featured old mascot heads.) But really, that’s to be expected in minor-league baseball, especially independent minor-league baseball, where you can’t even depend on fans of the major-league affiliate turning out to check out players who might some day play for the big club — or the major-league affiliate covering player salaries to help a club through lean attendance years. Then Matheson goes on to say that a movie theater might be better than a baseball stadium, because at least movie theater jobs are year-round. “The model we are most comfortable working with now is to suggest to a community that if they were to invest in the infrastructure and potentially in the ballpark, we can suggest to them developers that can help improve the area around it,” White said in a phone interview. I better run and go get my other work done, because it’s clear my work here will never be finished. The Halifax CFL stadium renderings are out, and are they ever the bestest! I also love that the end zone just turns into a pedestrian plaza, the better for Halifax’s lone bike rider (his name is Steve) to ride right out onto the field during a game, and that all the fans in the stands are choosing to watch from the concessions concourse instead of taking seats, and that the stadium lights appear to be on in the middle of the day. But mostly I really love that Cab-Hailing Lady (or her friends know her, Linda) is living out her dream of visiting every imaginary sports stadium in North America. And hailing a cab there. You know what they say: Comic strips plus time equals architecture. Or something like that. How long, exactly, have we been doing this stadium-watch stuff? 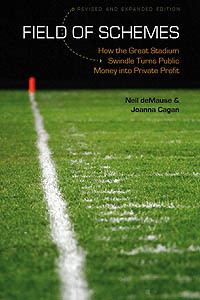 Long enough that the very first conversation my Joanna Cagan and I had about possibly writing something together was when her hometown of Cleveland was talking about building a new stadium for the Browns at the same time that their school system had been placed into receivership. 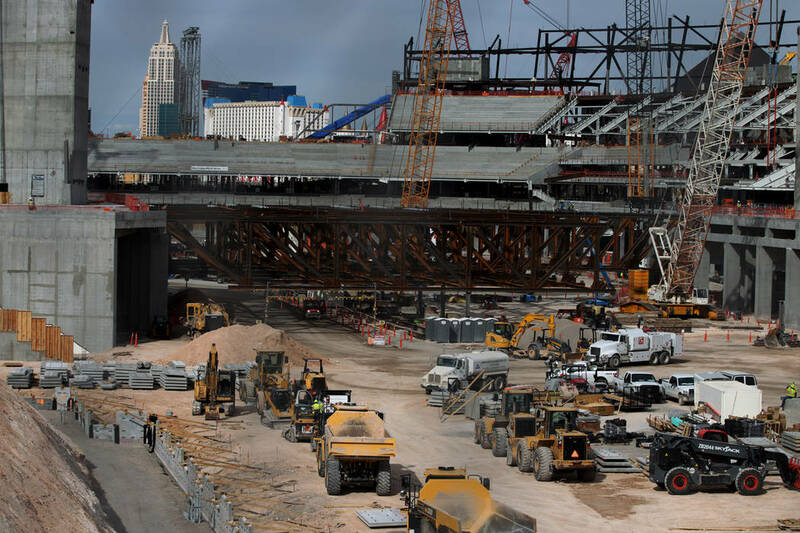 That stadium eventually opened in September1999 (one year after the first edition of Field of Schemes came out), and that was almost 20 years ago, people, so of course the Browns owners (who of course aren’t the same Browns owners as they were then) want something new, and that something new is … a bridge? A pedestrian bridge was originally supposed to be completed prior to the 2016 Republican National Convention. But a 2014 proposal was scrapped. Another plan, as Crain’s reported in February, is being discussed, but the potential price — which would go well beyond the $25 million raised for the 2014 proposal — is a sticking point. The proposal, if you click through, is actually for a “land bridge” that would build a 5.3-acre park spanning railroad tracks and the highway, which you can see why it would cost more than $25 million. And while it wouldn’t be entirely for the Haslams’ benefit — there are also plans for housing development near the stadium, and also of course Cleveland residents would get a small park out of the deal — it sounds like the Browns owners are going to make themselves front and center in pushing for such a plan. How much more than $25 million could a deck park cost? Here is a helpful paper titled “Cost-Effectiveness of Capping Freeways for Use as Parks” that notes that Freeway Park in Seattle, which is similarly a 5.2-acre deck park above a ground-level highway, “came at a relatively low cost of $18 million per acre.” That would price a Cleveland bridge-park at $95.4 million, which is a chunk of change, though obviously a lot less than building a new stadium. Though co-owner Dee Haslam also said that they would “make improvements to the stadium,” and didn’t say who’d pay for that, so we could still be looking at a nine-figure ask, but at least it’s a lot less than a billion dollars for a new stadium, and oh here comes our old friend anchoring again!